With private guide, visit stunning rice fields in the countryside. Mingle with locals during a trip to the Bangaan Village. Explore the waters of Pamilacan Island in search of whales and sharks. Visit tiny monkeys at the Wildlife Sanctuary in Corella. Enjoy a warm welcome from local villagers as you enter an authentic village and experience the timelessness of serene traditional life in a breathtaking setting of lush rice terraces and panoramic mountain vistas. Manila is a city of contrasts which you’ll discover as you follow a tour of the remarkable Walled City of Intramuros that dates back to medieval Spanish colonization, the peaceful Rizal Park and American Memorial Park, and the city’s bustling modern commercial and financial district. Your drive to Banaue will transport you through lush rice fields, small rural villages and past winding rivers into the mountains where you’ll visit an authentic Banga-an village that’s nestled in a panoramic valley of terraces. In Bohol, pass through mahogany forests on your way towards the fascinating Chocolate Hills and cruise the waters around Pamilacan Island in search of the abundant whale population. For your added comfort, your guide will be waiting for you outside the customs area with a sign with your name on it. Your guide will assist you to co-ordinate meeting up with your private driver and accompany you to your accommodation. Meet your driver for an airport transfer with a private vehicle and English speaking guide. Peninsula Manila stands out in a city where a classically elegant hotel with international standards is highly appreciated. A reliable haven of comfortable accommodation where guests can choose panoramic city views from either the Ayala or the Makati Tower room, and popular restaurants that serve a combination of Asian and International cuisines. The hotel is as much a favourite with the local cognoscenti as it is with visiting guests. 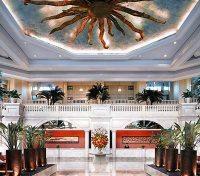 Peninsula Manila is exceptional amongst its peers, its imposing architecture reflecting the impressive service within. 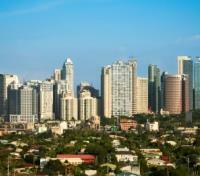 The Peninsula Manila has set the benchmark for luxury and sophistication. The hotel is known for affectionately as the “Jewel in the Capital’s Crown” for its legendary status and grand presence in the heart of Makati City. A luxurious haven of comfort, quality service and fine cuisine, the hotel is as much a favorite with discerning locals as it is with visitors. Begin your day visiting Rizal Park where the country’s national hero was executed. 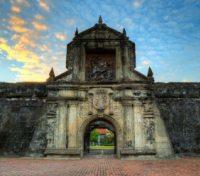 You will then head onto the Walled City of Intramuros and tour Fort Santiago, a Spanish medieval fortress that used to be Spain’s most durable bastion in the East. A stop will also be made at San Agustin church. After exploring San Agustin Church, you will drive through Ayala Avenue in Makati, the modern commercial and financial district of the country. Proceed to the American Memorial Park marking over 37000 soldiers who died during WWII, then to the reclaimed areas where the convention centres, art’s venue, and Mall of Asia. Rhythmical excitement is Manila after sundown. You will start your evening with a delicious Philippine dinner, then begin your nights' adventure by visiting one or two bars, taking in live music and entertainment at each establishment. After enjoying some time at the bars, you have the option of being dropped off at a club or the casino, or you are welcome to walk through Malate or Makati as you make your way back to your hotel. 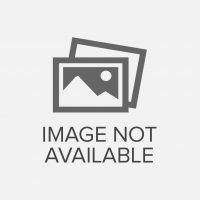 Depart from Manila by private car. Pass through the countryside setting and see stunning rice fields surrounding the small towns and villages that are dotted along the way. Voyage back through time as you cross through the Dalton Pass where many American, Japanese, and Filipino soldiers lost their lives in the final days of WWII. Then move on to Bagabag where picturesque mountains and rivers start to ascend. This "Standard Class Hotel" stands 4,000 feet above sea level right at the heart of the millennia-dated Banaue Rice Terraces. 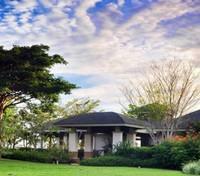 It is ideal for nature lovers and adventure enthusiast tourists. The hotel has fully-carpeted rooms which are well-furnished with private balconies overlooking scenic views of the Rice Terraces. 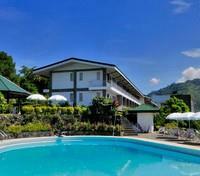 The warm Philippine hospitality is sure to make your stay at the Banaue Hotel unforgettable. *Please note - accommodation in Banaue is very basic and will not meet the same standards as you would find in other parts of the Philippines. 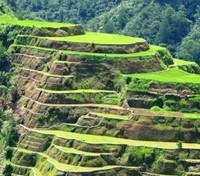 However the experience and access to more remote parts of the country make the visit to Banaue very worthwhile. Board a local jeepney and embark for Bangaan village, a traditional village nestled in the unearthly UNESCO inscribed rice terraces of Bangaan. Taller than the modern world’s highest skyscraper, these 2,000 year old structures were built with primitive tools and are considered an ancient marvel. Watch as the earth stretches up into the sky as you take a short trek on a descending trail, permitting a closer look into the inner lives of the Ifugaos. Meet the inspiring locals who maintain and farm these breathtaking terraces. 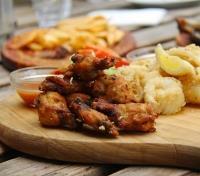 Mingle with the Ifugaos to discover their culture and daily routines. Head to a lookout point where you can view the rice terraces as clouds pass under or over you - it is truly an amazing sight and experience. After breakfast, depart from the hotel to visit the culturally rich town of Sagada where decedents of the Applai continue the way of life, practices, and customs of their ancestors. Subject to weather the conditions, unveil the mysteries of the Igorot’s bizarrely beautiful hanging cliff side coffins, a tradition still practiced to this day. Enjoy a local lunch before proceeding to the Bontoc museum founded by a Belgian Sister which houses a collection of authentic artifacts and photos relating to the local tribes. Later in the day be further immersed in authenticity as you enjoy a captivating cultural performance show performed by the local people who will interpret their customs and traditions for you through song and dance. 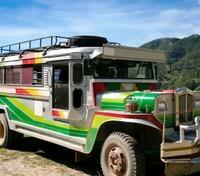 After breakfast, depart Banaue for your return drive to Manila. Fly from Manila to Bohol (Tagbilaran). Flight time is approximately 1 hour and 25 minutes. Meet your driver for an airport transfer with a private vehicle. Amorita Resort is an intimate resort on Panglao Island in Bohol with an exclusive picture-perfect view of the Bohol sea sunset, Siquijor Island, and the famed Alona Beach. Amorita is the perfect escape for exclusive getaways, a chance for guests to be completely tranquil and undisturbed, a luxury offered by Amorita. 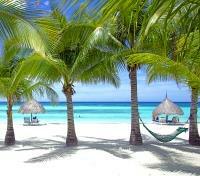 Guests can enjoy a host of activities right at their doorstep – restaurant hopping in Alona Beach, dolphin watching and diving in various marine sanctuaries of the Bohol Sea, and countryside tours that provide an authentic Filipino experience. Today embark on a journey to tour the historical landmarks of Bohol, such as the blood compact marker, Baclayon Church. 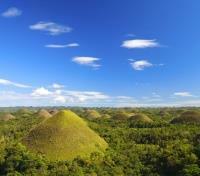 You will then pass by the man-made mahogany forest on your journey to the legendary Chocolate Hills. These breathtakingly beautiful 1,268 grass-covered limestone domes have been proposed for inclusion in the UNESCO World Heritage Lists. Come face to face with one of the planet’s smallest monkeys during a quick visit to the Philippine Tarsier and Wildlife Sanctuary in Corella. After visiting the Chocolate Hills, you will go on board on a motorized boat to cruise along Loay/Loboc Rivers and have lunch onboard as you enjoy the relaxing scenery of the rivers. *Please note, the river cruise portion of this tour will be shared with up to 10 other passengers. 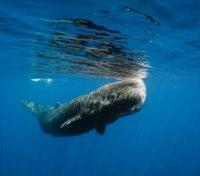 An exciting, yet challenging experience as you see whale in their natural habitat. You will board with your private guide and boat crew who were former whale hunters and now specially trained to be whale guides. You will spend half of the day exploring the seawaters around Pamilacan Island where you will spot whales and if you're lucky even sharks. Please note, the best time to see whales between March and June, but other marine life can be seen year round. As you enjoy the scenery, a picnic lunch will be served. Fly from Bohol (Tagbilaran) to Manila. Flight time is approximately 1 hour and 25 minutes. One of the benefits was that the guides were very flexible and suggested and accommodated changes to plans based on the weather and other circumstances. They all said they could do this when working with Kensington because Kensington supported it and empowered them with this flexibility. A big advantage in making the trip perfect! The whole trip was well organized and we have recommended using Kensington to our friends. Mark was able to put together the perfect tour! Our guide was very knowledge and we really appreciated her being so flexible with the holiday as we were there for Chinese New Year! She was able to take us to all the sights and part of the highlight was eating traditional Chinese food for New Year's. This tour was so well organized - everything went off perfectly. As two women traveling together in a country where the language barrier was a challenge, it gave us great peace of mind to know that we would be escorted wherever needed. We appreciated not being part of a group - our private tour guides were delightful and the entire trip was very special for my daughter and me. The trip was very enjoyable. We gained new insights into China and the Chinese people. I wish we could have stayed longer. There is so much to see. My favorite sites were the Great Wall, Terra Cotta Soldiers, White Jade Buddah and the Shanghai night skyline. Cindy was most helpful in planning our trip. She's truly an asset to your company. Kensington Tours met all of our vacation needs. I usually don't write reviews but I have to tell you, this was the best vacation. Yuki, our Destination Expert, did an excellent job putting it all together and the guides were excellent. I will be using you guys for my next international vacation. It was such a spectacular trip - one we will never forget. Gayan, our guide in Sri Lanka, was BEYOND amazing. I literally cannot do justice to how fantastic he was for my wife and I on our honeymoon. An amazing guide, a great companion, and an extremely good person. It was a stellar experience in every way, but mostly due to the caliber of our tour guide. Tomo was exceptional in all areas - intelligence, expertise, personality and commitment to our comfort and needs. She truly went above and beyond and was a delightful companion, as well. It was actually emotional saying goodbye to each other!